I’m taking a leap of faith. My personal training business is growing and the next step for me is to have a space that I can call my own. Where else to have a space than my house?!! Most people walk into my house and say “I love it here!” It just has a great vibe, and if you’ve been there, then you know what I mean. 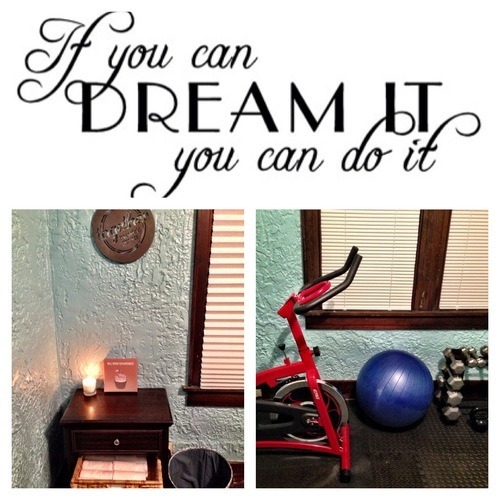 Soooooooo – big news – I’m working on turning the front room into a workout studio! It’s an investment of time and money, but it is where I can share my heart with people and hopefully motivate them as well as myself to be better. The next step from here will be my own actual training gym, but this is a start. I’m very excited to share the final space with everyone! This coupled with the park that I live by – I think will be THE perfect mix for spring and summer for those looking for one on one training! Thank you for your support, to all of my amazing clients who I LOVE and for everyone’s continual encouragement.